So your web traffic is increasing and you have been getting more leads than ever through your site, so what’s next? Que the sales pitch right? Wrong. This is arguably the most crucial part of inbound marketing, where we turn those leads you've nurtured, into renters or guests. 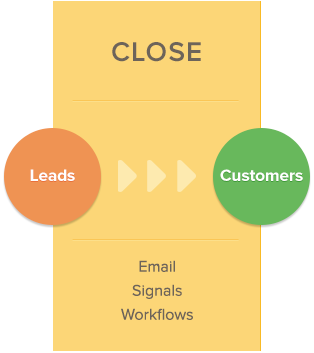 If we look at this from a typical sales process, these leads are fresh and you need to flood them with your sales pitch to both inform them and sell them at the same time. However, this is not your typical sales funnel, this is your inbound funnel, and the leads that you are looking at have found you because of something you offer that interests them. This is where we really see the difference in cold leads and qualified inbound leads. The process by which these leads have come to you is worlds apart. A cold lead is a name on paper that you contact to see if they may be interested in renting from you. An inbound lead is someone who is already looking for a vacation rental, has determined that they will be coming to your market and have already checked out some of your properties. The difference is monumental and it is important that you cater to these leads properly. So how do we handle these leads is the next logical question. Calling one of these leads with your elevator pitch will only steer them away from your properties. Instead, we want to move them through to booking the same way we moved them through to a lead, with information. The simplest step is a follow up email to these leads. If someone visits your sites, perhaps starts a rental but doesn't finish, fills out an information form, or any touches, you should follow up with an appropriate email or phone call to see if you can't assist further. Barefoot offers denial tracking tools to help you manage these calls. For example, the smiths loved the area and wanted to book a one week stay but need a 5 bedroom home, of which you are all booked up. Once a 5 room property frees up you can reach out to this family to seal the booking. Another example is you have built out a CTA for your website that details the spring training schedule of a local baseball team. When someone downloads this schedule, it is a perfect time to follow up with a list of homes that are close to the training grounds. The goal is to remove any doubt from the potential renters mind and by having the answers, you become trusted and more likely to earn the business. Some companies use emails because they can be automated to reach out faster. Other companies prefer to use the personalized approach of a phone call. There are advantages to either so your company needs to decide which medium is more appropriate. From there, look at your CTA's you have put on your site and create a "next step" for each so your business can handle these leads easier. If you have a "book now" CTA, an agent should be on the phone calling that lead pronto. If you have a "learn more about our area" CTA an email with a link to a blog you have written on the topic would be a perfect fit. The takeaway here is that these leads are more qualified than ever before. They are ready to book and don't want to hear a sales pitch. If they are not ready to book, then your sales team can focus on the leads that are, making your sales team more efficient than ever in the process. As always if you have any questions how to best introduce inbound marketing to your company, email me ad Adam@barefoot.com or comment below and let us know what I can help with!